European Union says new law, which mostly affects liberal groups critical of Israeli policies towards the Palestinians, goes 'beyond the legitimate need for transparency'; US concerned law could have a 'chilling effect' on the activities of NGOs. The European Union has criticized the new NGOs Transparency Law that increases regulation of many human rights organizations, saying it risks "undermining" Israel's democratic ideals. While its supporters, including Prime Minister Benjamin Netanyahu, say the law is meant to increase transparency, it applies almost exclusively to liberal groups, often funded by the EU, that are critical of Israeli policies toward the Palestinians. More hawkish groups are largely exempt because they tend to receive funding from private individuals. 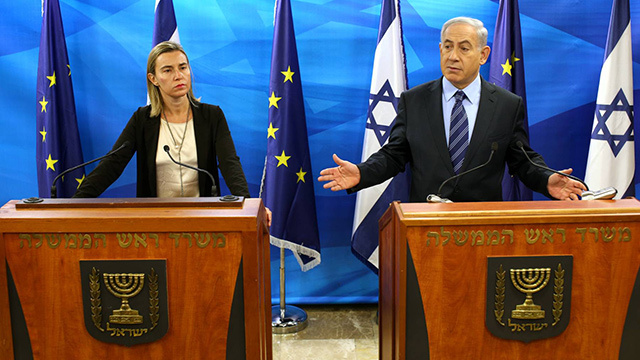 The Israeli government has long accused the EU of meddling in Israeli affairs by funding such groups. European officials say it supports groups that promote democracy or help the Palestinians to develop their economy and governing institutions as a step toward establishing an independent state at peace with Israel. In a statement Tuesday, the EU said the new law goes "beyond the legitimate need for transparency," and seems "aimed at constraining the activities of these civil society organizations working in Israel." "Israel enjoys a vibrant democracy, freedom of speech and a diverse civil society which are an integral part of the values which Israel and the EU both hold dear," it added. "This new legislation risks undermining these values." In Washington, State Department spokesman John Kirby said the US was concerned the legislation could have a "chilling effect" on the activities of non-governmental organizations. He said President Barack Obama has made clear that "a free and functioning civil society is essential and governments must protect freedoms of expression including dissent, association and create an atmosphere where all voices can be heard." Israeli nonprofits were already required to report their sources of funding to a state registrar, and such information appears on their websites. The new law requires them to state that they rely on foreign funding in all communication with public officials and on TV, newspapers, billboards and online. 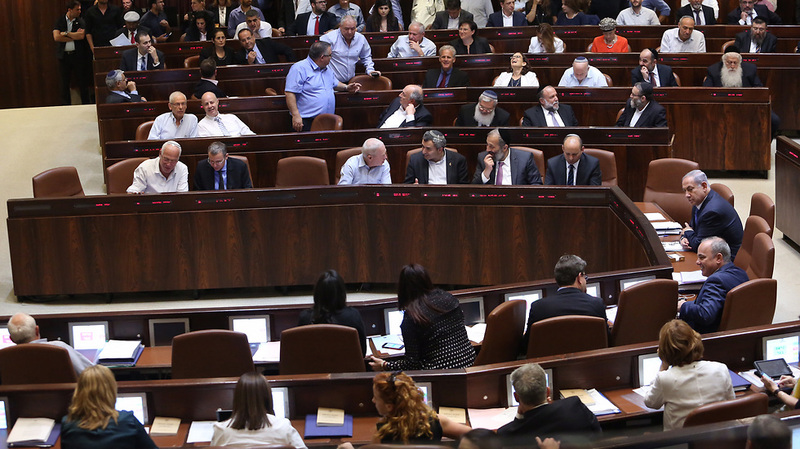 Representatives of these groups must also declare they depend on foreign contributions to the heads of Knesset committees when participating in meetings. 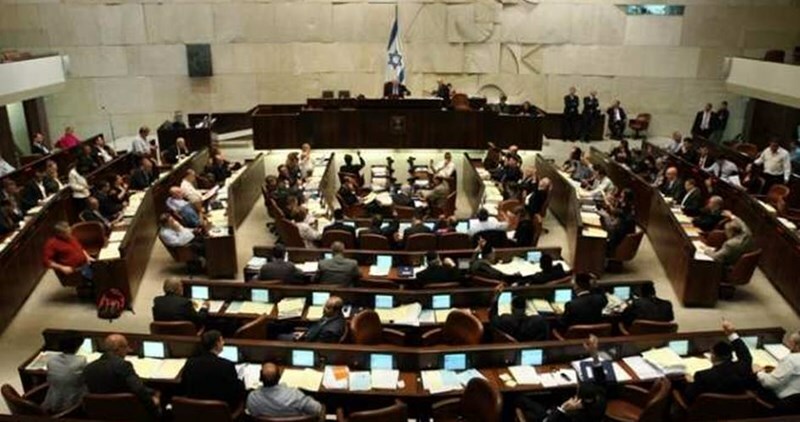 An additional proposal that would have required their representatives to wear special badges in the Knesset building was dropped. Israeli nonprofit groups reacted angrily Tuesday. Adalah, a group that promotes the rights of Arab citizens of Israel, said the law "is intended to persecute and incite against human rights organizations, a practice which is characteristic of dark regimes both past and present." But Gerald Steinberg, president of NGO Monitor, a watchdog group that has pushed for greater transparency of foreign-funded nonprofits, said the complaints were overblown and the law would have little impact. "This law is strictly symbolic and political," he said. "There are essentially no new restrictions." Steinberg said he believes the best solution would be for Israeli and European lawmakers to hold a dialogue and together set guidelines for how money should be spent. Recent statistics have revealed that the number of demolitions and confiscations by Israel in the West Bank and East Jerusalem in 2016 have increased by 450%, in comparison to 2015, signaling a covert attempt to establish a state for Israeli settlers in the Palestinian state. Since the signing of the Oslo Accords in 1993, the number of Israeli settlers and settlements in the West Bank and East Jerusalem has multiplied by 600%. The Israeli population illegally occupying the West Bank and East Jerusalem is gradually turning Palestinians’ dreams in statehood onto a mirage. As of December 31, 2015, the number of Israeli settlers in the West Bank and East Jerusalem surpassed 765,000, a huge increase since 1993 when the number barely reached 105,000. Data revealed that the growth rate of the settler population in the West Bank and East Jerusalem is higher than that among Israelis in Israel and Palestinians in the West Bank and East Jerusalem. The increase in the number of settlers is estimated at 5.8% in comparison to 1.8% in Israel and 2.9% among Palestinians, which indicates a deliberate targeting of the Palestinian state and its resources. Reviewing the situation on the ground, statistics and experts point out that Israel has come too close to establishing a state for settlers in the heart of the promised Palestinian state. Israel has founded entire cities, which became home to hundreds of thousands of settlers at the expense of Palestinians’ lives and future by destroying their homes and denying them the right to build in their lands. Ghassan Daghlas who is in charge of monitoring and documenting Israeli settlement activities in the West Bank told WAFA after the assassination of prime minister Yitzhak Rabin, the Israeli government and the Zionist Lobby all agreed and began work in the direction of establishing a state for the settlers in what they choose to refer to as “Judea and Samaria”. Settlement expansion in the occupied West Bank and annexed East Jerusalem has been fully sponsored and endorsed by right and far right politicians and businessmen. The number of settlement units advertised and sold has increased by 850% in 2016 in comparison to 2015. According to statistics and data gathered by Daghlas, Israel is currently controlling and exploiting Area C, which covers 60% of the West Bank and is home to an estimated 180,000 – 300,000 Palestinians and to a settler population of at least 325,500 living in 125 settlements and approx. 100 outposts. According to Al-Maqdese for Society Development (MSD), a non-profit organization to protect and defend Palestinians’ rights, between the years 1967 and 2000, Israel demolished around 500 buildings and between 2000 and 2014, it demolished another 1,342 buildings in Jerusalem, forcefully displacing 5,760 Palestinians. In East Jerusalem, Palestinians are forced to take the painful route and demolish their own homes to avoid large demolition fines issued by the Israeli municipality. Many Palestinians must choose between demolishing their homes, and paying for it or going to court, paying fines, paying the engineer and the lawyer and eventually losing. Around 340 Palestinians in East Jerusalem were forced to demolish their own homes between 2000 and 2014. According to the United Nations Office for the Coordination of Humanitarian Affairs (OCHA), Israeli forces demolished 417 buildings in the West Bank, including East Jerusalem, leading to the forced displacement of 495 Palestinians including 277 children. Issac pointed out, according to WAFA, that the increase in demolitions is spiraling out of hand, saying that between January and May 2016, Israeli demolished 276 homes and 348 dwellings in comparison to 108 homes and 59 dwellings in 2015, mostly in Jerusalem, Nablus and Hebron. He said that the reason behind the concentration in specific areas is to support the presence of the settlers in these areas and establish a solid state for them and ensure their control. But, it is different in Jerusalem; Issac said Israel is trying to empty Jerusalem from Palestinians and maintain a Jewish majority. Many Palestinian neighborhoods in Jerusalem are facing drastic Israeli attempts to confiscate more homes. The expenses Palestinians are forced to pay in order to be issued permits are considered the highest around the world. In order for a Palestinian family to receive a construction permit, they need to wait between 8 and 12 years while the average cost to receive a permit for a 110 meter square apartment in Jerusalem is $60,000 to $70,000, excluding taxes and post-construction fees. Since the year 2000, Israeli demolished 3,979 homes in the West Bank and displaced thousands of Palestinians. As for confiscated land, Israel has taken over 7,773 dunums of land between January and June 2016 mostly in Jericho, Bethlehem and Salfit, an increase by 439% in comparison to 2015. Waleed Assaf, minister of the separation wall and settlement activities’ affairs asserted that the far right government, which is leading Israel, has destroyed the West Bank and isolated its north from the center and south using military checkpoints. 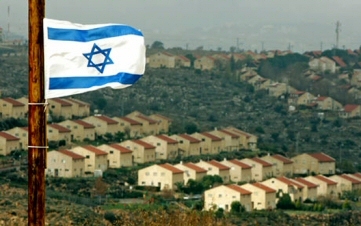 He added that Israel regularly expropriates area A, currently comprising about 18% of the land in the West Bank, which includes all the Palestinian cities and most of the Palestinian population of the West Bank; the Palestinian Authority (PA) is endowed with most governmental powers this area, and denies Palestinians from making use of Area C.
“The sum of money spent on infrastructure in the settlement blocs and outside and the governmental expenditure on roads connecting between settlements as well as water, power and sewage networks indicates that Israel is aiming to establish a new entity for the settlers,” Assaf said. In 1992, the idea of creating a physical barrier separating the Israeli and Palestinian populations was proposed by then-prime minister Yitzhak Rabin and by 2012, 440 km (62%) of the barrier was completed, 57 km (8%) was under construction and 212 km (30%) had not yet been started with little progress made by 2014. Jerusalem has become an isolated city with 120,000 Palestinians stranded outside its municipal boarders, with 36% of its land under Israeli control. While Palestinians were granted small and ed areas for construction, Israeli settlers were allowed tens of thousands of settlement units. By the year 2020, Israel plans to complete the construction of 58,000 units, a big part of which has already been constructed in the last two decades. When it comes to Palestinian Bedouins, Assaf indicated that Israel is currently targeting those populations to completely empty Area C, which stretches from Yatta in the south through Bethlehem, Jerusalem, and Ramallah, and all the way to the north, eventually annexing these areas to Israel. The far right Israeli government is also planning to speed up the settlement expansion and finalize isolating Jerusalem and dividing Al-Aqsa Mosque compound. The Knesset has passed a law restricting the work of human rights groups opposing Israel's occupation of the Palestinian territories and its policies against the Palestinians. Under the new law, noted human rights groups that receive more than half of their funding from abroad, including from European governments, are demanded to disclose it clearly in official reports, meetings, interviews, emails etc. Punitive measures will be taken against certain named groups that violate the law. This legislation will target about two dozen left-wing groups that campaign for Palestinian rights while excluding right-wing pro-settlement NGOs, who will not be required to reveal their foreign funding sources. The organizations to be affected include some of Israel’s most prominent rights groups, including Breaking the Silence, B’Tselem, Peace Now and Yesh Din. The bill, promoted by Israel’s right-wing justice minister, Ayelet Shaked and backed by premier Binyamin Netanyahu, was passed by 57 to 48 votes following a lengthy and acrimonious debate on Monday. The law has been widely criticized in Israel and overseas. On the Eve of the International Population Day marked on July 11, the estimated population of Palestine at mid-2016 is about 4.81 million, the Palestinian Central Bureau of Statistics (PCBS) reported Sunday. According to the PCBS, the total population of Palestine at mid-2016 was about 4.81 million; 2.45 million males and 2.36 million females. The estimated population of West Bank was 2.93 million, of which 1.49 million males and 1.44 million females. The estimated population of Gaza Strip totaled 1.88 million, of which 956 thousand males and 925 thousand females. 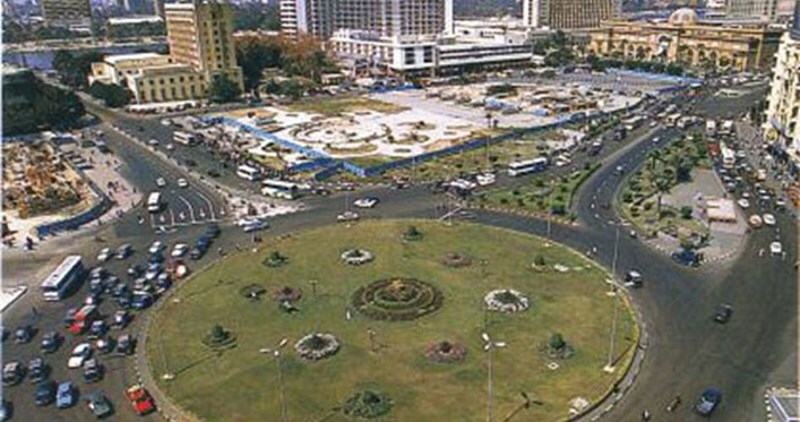 The percentage of the urban population at mid-2016 was 73.9%, while the percentages of population in rural areas and camps were 16.6% and 9.5% respectively. PCBS also kept record of the population density of Palestine, which is generally high. In the Gaza Strip the rate is estimated at 5,154 persons/km2, compared to a lower population density in the West Bank, with 519 persons/km2 at mid-2016. Population projections also revealed that crude birth rate in Palestine is expected to drop from 30.9 births per 1000 of the population in 2016 to 29.0 births per 1000 in 2020. On the other hand, the crude death rate is expected to decline from 3.5 deaths per 1000 of the population in 2016 to 3.4 deaths per 1000 in 2020 in Palestine. Data revealed a decline in the average of the size of households in the West Bank from 6.1 persons in 1997 to 4.9 in 2015, while it declined in Gaza Strip from 6.9 persons to 5.7 for the same period. The size of female-headed households was relatively small, with an average size of 2.9 persons compared to 5.7 persons for male-headed households. The results of labor force survey revealed that the labor force participation rate in the first quarter of 2016 is 45.8% of the total labor force (Persons aged 15 years and above) of which 45.5% in the West Bank and 46.4% in Gaza Strip. The results showed that more than one fourth of participants in the labor force were unemployed in the first quarter of 2016. Unemployment rate reached 42.8% among females compared to 22.3% among males. Central Bureau of Statistics survey finds 70% of Ethiopian immigrants don't trust the police, while 58% trust the justice system; 85% do not believe they can influence the government's policies, while 31% felt discriminated against. The survey found that most Israelis do not have trust in the government or the Knesset, but still trust in the Israel Police and the justice system. Most of them don't believe they could influence the government or local municipalities' policies, and a third felt discriminated against. The IDF received the highest level of support from the public—82 percent. There was no difference between men and women, with 83% of men putting their trust in the military and 82% of women. Meanwhile, Jews had greater trust (93%) in the IDF than Arabs (32%), while college graduates (88%) trusted in the IDF more than the rest of the population (79%). Orthodox Jews expressed more support in the IDF than ultra-Orthodox Jews—97% compared to 72%, respectively. Among traditional Jews, 96% trust the IDF and 94% do among secularists. It also appeared trust in the IDF increased along with one's age: 52% of 20-44 year olds have great trust in the IDF, 63% of 45-64 year olds and 73% among those 65 and older. Almost two-thirds of the public (60%) trust the State Comptroller, and here too the level of trust is higher among Jews (64%) than Arabs (41%). Most of the public trust the justice system (58%), with once again a higher rate among Jews (60%) compared to Arabs (41%). Here too, the more observant one is, the less trust they had in the justice system: 22% of ultra-Orthodox, 46% of Orthodox, 61% of traditional Jews and 70% of secularists. The rate of respondents who said they "do not trust the justice system at all" among ultra-Orthodox was 47% compared to 18% of Orthodox and 7% of secularists. Among new immigrants, the rate of trust in the justice system is smaller—53% among immigrants from the former Soviet Union (who came from 1990 onwards) and 43% among Ethiopian immigrants. Meanwhile, over half of the public expressed trust in the CBS itself, with greater levels of trust among college graduates (62%) compared to those who aren't (51%). A little more than half of the public (53%) expressed their trust in the Israel Police. Jews (57%) were once again found to trust police more than Arabs (34%), and older people more than younger people. A high level of distrust of the police was found among Ethiopian immigrants, 70%, while immigrants from the former Soviet Union mostly do trust the police—60%, compared to 34% who don't. Most of the Israeli population expressed distrust in the government, with only 40% expressing trust in it. Jews (42%) expressed more trust than Arabs (28%), while the Orthodox and traditional Jews expressed the most trust in the government, 60%, compared to 29% of ultra-Orthodox and 32% of secularists. Thirty-nine percent of ultra-Orthodox and 32% of secularists said they "don't trust the government at all," compared to 13% of Orthodox. The Knesset received an even lower score, with only 38% of the public expressing trust in it, 40% among Jews and 25% among Arabs. When it comes to the individual political parties, only 22% of the public expressed trust in them, 24% among Jews and 15% among Arabs. Trust in local municipalities was higher, with 61% of the population expressing trust in them. Among municipalities of over 100,000 residents, Be'er Sheva enjoys the most trust (75%) from its residents, followed by Netanya and Rishon Lezion (73%), Tel Aviv (71%), Rehovot (69%), Holon (68%), Bat Yam and Ramat Gan (64%), Bnei Brak (63%), Haifa and Ashkelon (57%), Petah Tikva (55%), Ashdod (54%), and Jerusalem (40%). Among Jerusalem's Jewish residents, 58% expressed trust in the municipality, while 36% said they did not trust it. Trust in the media was also found to be low, with only 39% saying the trust the press. Young people found to be less trusting of the media than older citizens: 35% among 20-44 year olds, compared to 45% among 45 and older. Most of the Israeli population (85%) said they did not believe they could influence the government's policies, while 75% don't believe they can influence their municipality's policies. Thirty-one percent felt discriminated against over the past year because of age, nationality, ethnicity (15% overall; 10% among Jews and 30% among non-Jews), religion (13% overall; 27% among Muslims, 19% among Christians, 20% among Druze, and 10% among Jews), gender, sexual orientation, or physical/mental disability. Among Jews, the more religious they were, the more they felt discriminated against: 41% of ultra-Orthodox, 16% of Orthodox, 8% of traditional Jews and 5% of secularists.